We recently profiled 6 challenger banks, which are promising to offer something pretty different to what’s already on the high street. As these banks start to pop up over the coming months, we thought we’d profile 6 leading players in the prepaid debit card space, which has become pretty hot property. Are they really emerging as alternatives to a traditional current account? How does it work? 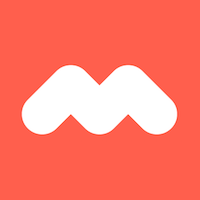 Monese offers an "account within an app" - a slick Android app, with an iOS app on the way in Summer 2016. You get an account number and a sort code, and it's easy to pay your contacts, load, and withdraw money around the world. You could even get your salary paid in and use this like a fully fledged account. Where can it be used? Issued as a familiar Visa Debit, so should we widely accepted. Is this an alternative to a current account? Yes and no. The monthly charge is current account territory, but you don't get the current account extras such as travel insurance. It's all packaged up in a great app - but read our Monese reviews to see how customers are turned off by the high monthly charge. How does it work? The Acorn Account operates a ‘jam jar’ management system, which is intended to hep you to better allocate your money between bills, other spending and savings. How much does it cost? There’s no fee to open an account, but there is a monthly charge of £9.95 for the card. It also costs 50p to withdraw money in the UK, with additional charges for withdrawing money abroad. Where can it be used? Issued by MasterCard, so all over the world. You can also top it up at any Barclay’s branch or at the Post Office, as well as online. Is this an alternative to a current account? The monthly fee is fairly high for a prepaid card, and the 50p withdrawal charge isn’t the cheapest, especially if you’re not withdrawing much at a time. However, it does provide you with access to a dedicated account manager to help you better manage your money via the ‘jam jar’ approach to money management. How does it work? EVEN is focused on people who spend money abroad. They charge the Wholesale Interbank Foreign Exchange Rate on currencies like USD and Euros, or the MasterCard rate for transactions made in foreign currency and don’t add any mark-up, commissions, or fees. How much does it cost? EVEN has a monthly fee of £5, or an annual fee of £50, if you’re happy to pay for a year up front. There are no transaction fees or costs for withdrawing from an ATM. They do, however, state that if you don’t spend over £1,000 a year then the card might not be the most cost efficient product for you. Where can it be used? It’s a MasterCard, so widely accepted. They also offer cashback for certain purchases both online and offline, as well as a points-based rewards scheme for basic actions such as tweeting about the account which can be redeemed as cash. Is this an alternative to a current account? EVEN’s sweet spot is definitely with customers who happen to travel a lot or make large purchases in foreign currencies. The points-based rewards model offers an interesting approach to building loyalty and might help make this prepaid card the go-to account for many customers. How does it work? Ffrees offers a ‘jam jar’ account aiming to help people save, manage money, and pay bills. Their USP is to be an “unbank”, with transparent fees that are open to everyone. How much does it cost? Well, that’s up to you. Ffrees offer a Zero account with no monthly fee. They do charge transaction charges, and offer a selection of monthly fee options up to £10 which provide decreasing transaction charges depending on how much you’re willing to pay and your expected usage. Where can it be used? Anywhere you can use a Visa card – including online. Ffrees offer cashback through a range of retailers, e.g. Topman – online or in-store – which is then stored in a separate ‘jam jar’ in your account so you can see exactly how much you’ve earned. Is this an alternative to a current account? That’s definitely what they want to be seen as. Ffrees see themselves as the bank for people who want to move away from the traditional high street institutions. How does it work? gohenry is a pre-paid debit card for 8-18 year olds that can be managed by parents through an app or online. Parents can apply spending limits or block certain uses, such as online shopping. How much does it cost? There is no up-front cost for the card – unless you want a custom design, which is priced at £3.99 – instead gohenry charge £1.97 per child per month, which is taken from the parents account rather than the child’s. Where can it be used? gohenry’s card is issued by Visa, so can be used anywhere their cards are accepted. With it being for young people it’s has restricted uses – e.g. retailers providing ‘adult services’ or nightclubs. Parents can get notifications whenever their child’s card is used so that they can track what their children are spending their money on in real time. Is this an alternative to a current account? goHenry cater for children from the age of 8, while the main high street banks don’t tend to offer accounts to anyone under 11. This is one of the few options available to young people at that age, and the control you get as a parent via the app adds a level of reassurance. How does it work? Osper have separate apps for parents and young people, giving parents control over what their children can spend. The parent has full access to the account, and can block the card or limit spending all through the app. How much does it cost? £12 per Osper card per year, paid for by the parent. There are costs for using the card abroad or ordering a replacement, but other than the annual fee there are no costs for using the card in the UK either online or at ATMs (although there are limits like how many times you can withdraw money in a day). Where can it be used? The card is issued by MasterCard, and can be used anywhere they’re accepted. It’s not enabled to be used online by default but this can be enabled by parents. Children also can’t use their cards at retailers who are deemed to offer ‘adult services’, such as bars and casinos, so there’s a degree of security over how the card is used. Is this an alternative to a current account? Like goHenry, Osper is only available for 8-18 year olds. They also offer full control of a child’s account via a pretty neat parent-friendly app. Take a look at our Osper reviews! How does it work? You’re supplied with a Pockit card and can top it up from PayPoints, online via a debit card, or a bank transfer. The account is managed online and can be accessed by computer, tablet, or phone. How much does it cost? There’s a 99p up-front fee for a Pockit card, and once you have it there are no monthly fees or charges for card transactions. It costs 99p to make an ATM withdrawal in the UK, and other charges apply if you choose to use your card abroad. Where can it be used? 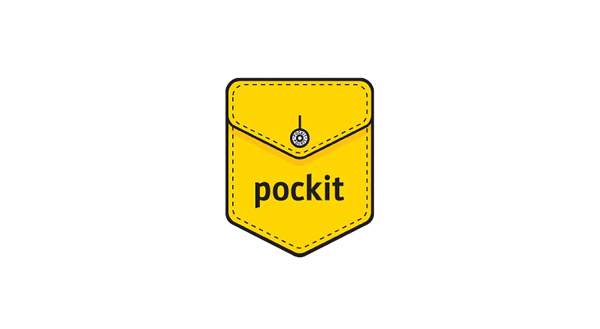 Pockit cards are issued by MasterCard so can be used worldwide. They offer cashback between 2% and 10% of a transaction through participating retailers, both in-store and online. Is this an alternative to a current account? The 99p UK withdrawal fee is the highest of the cards we’ve featured, but the entry price is low and there are no monthly fees. The cashback element is heavily promoted and would appeal to many looking to get a bit more value out of an account. So, are prepaid debit cards a real alternative to current accounts? The six companies we’ve profiled above offer interesting products that are shaking up the prepaid space. There are some things that prepaid cards do not offer, e.g. overdrafts or interest on your balances. They also don’t offer some of the perks some current account customers have become used to - such as mobile phone insurance and breakdown cover. In terms of security, prepaid cards aren’t protected from fraud (meaning that your card holder doesn’t have to refund you should you card be used by someone else), and they aren’t covered by the Financial Services Compensation Scheme (FSCS). The ease of getting a prepaid card, and elements designed to clearly highlight ‘real value’ to consumers (such as cashback on retail purchases) or ‘jam jar’ budgeting mean that an increasing amount of consumers are looking to this sector. Have you used any of the prepaid cards above? Leave a review and let us know about your experience to help thousands of Smart Money People decide whether to ditch their current accounts in favour of a prepaid debit card. Cancelling your car insurance early: how much does it cost?